What is a heart palpitation? What does it feel like? Are heart palpitations normal? Are they dangerous? These are questions I’ve heard many times over years from patients and web site visitors. Heart palpitations are a common form of cardiac arrhythmia that drives people into worry mode and to visit their doctor. Here’s what you need to know: In a healthy heart, irregular heartbeats are rarely a medical cause for concern. They actually occur in about one-third of all normal hearts. In patients with established heart disease, however, they are associated with an increased risk of cardiac-related death. How much do you know about arrhythmias? Take my Heartbeat Quiz to find out! Are Heart Palpitations Normal? Are they Dangerous? Short answer: yes, and they can be. PVCs are extremely common, and pretty much everybody has them at some point in life. Studies suggest that about one-third of men and women without coronary heart disease (CAD) may actually have one or more PVCs per hour. Among patients with CAD, the rate jumps up to 58 and 49 percent, respectively. One 2013 analysis of more than 100,000 participants in eleven general population studies indicates that in the case of frequent PVCs (defined as more than once during a standard electrocardiogram recording or more than 30 over a 1-hour recording) there is a substantial increased risk. The prevalence of frequent PVCs in the studies ranged from 1.2 to 10.7 percent. Men have an increased prevalence compared to women. 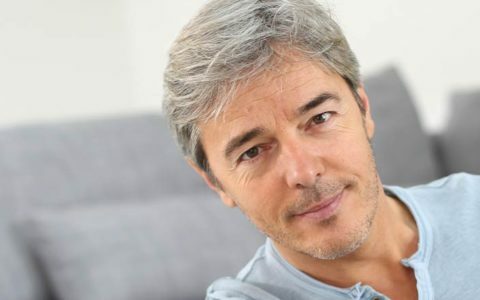 The difference is especially higher in men with CAD. PVCs are uncommon in children. Prevalence increases with age. Frequent heart palpitations along with underlying heart disease should always be evaluated by a cardiologist because of the possibility of triggering life-threatening arrhythmias. You might experience heart palpitations at night, when settling down in bed and your body is quieted down. PVCs may even wake you up in the middle of the night or grab your attention when you are walking the dog or working on the computer. They may happen randomly. If they happen frequently enough they scare the heck out of you, and send you running to your doctor or even the emergency room. Some of my patients were having PVCs with every other or every third heartbeat, and experienced anxiety, fear and dread – common emotional reactions for those having what seem like constant heart palpitations. I remember a middle-aged doctor who once came to see me who was himself experiencing heart palpitations anxiety. I monitored his heart and had him perform a stress test. The results came out negative, to his great relief. He was a classic example of someone healthy who becomes aware of skipped beats, which then triggers worry or panic, and a crescendo of stress hormones. And the more you worry and fret, the more you can fuel the flames of PVCs. In his case, too much caffeine and the stress of work were triggering PVCs. When he cut back on the java and made an effort to disengage himself a bit from the emotions of his work, his PVCs eased in intensity and frequency. In both healthy and unhealthy people, PVCs are also commonly caused by stress, too much caffeine and alcohol, and deficiencies of magnesium and potassium. Cardiologists don’t usually get very concerned when PVCs occur in healthy folks. I usually didn’t. We’ll usually suggest solutions related to lifestyle. Initial interventions often include trying to normalize electrolytes, minerals in your blood and other body fluids that carry an electric charge. Potassium, calcium, magnesium, sodium, and chloride are examples. Most cardiologists don’t use drugs to treat PVCs unless they are happening frequently on a regular basis (like more than six times a minute), or if the individual is quite symptomatic. But when PVCs accompany a cardiovascular condition, the solution usually requires treatment for the underlying problem in order to prevent the PVCs from evolving into more complex ventricular arrhythmias, which could be deadly. Aging is also associated with PVCs. The older you are the more prone you are. I know that first-hand. I myself have had PVCs since about 2008, when I was 61, and I’ve noticed they have gotten a bit more intense over time. Sometimes I may feel a little lightheaded or with a swimming sensation in my head. These episodes happen most frequently when I am traveling, and since I am on the road a good deal, they happen more than I would like. The frequency could reflect a lack of sleep and being out of a routine and my comfort zone. To be sure, I have monitored the situation carefully and have not found any underlying heart health issues to be concerned about. In 2011, I did an echocardiogram that happily came out negative. If the test were to have shown a damaged heart, then the PVCs, as I mentioned a moment ago, could be an ominous sign. PVCs with a normal heart are just an annoyance. I’m doing the max to counteract them, so I just live with them. As a result of my PVCs, I have cut down on what was basically a glass of wine or two with dinner a few times a week. I’ve always enjoyed that, but I’ve noticed that I have heart palpitations after eating if I’ve had a heavy meal with a bit of wine. If you start becoming aware of irregular heartbeats occurring more than just once in a while, make a date with your internist or cardiologist. Your physician may order an echocardiogram – a test employing sound waves to analyze the beating action of the heart as well as the function of heart valves. When PVCs are documented, your doctor may seek further confirmation with a Holter monitor, a portable device that records heart rhythm and evaluates the type and frequency of PVCs. As I said before, most PVCs are benign, and doctors do not bring drugs or surgery into the picture unless the PVCs are pronounced and they have to address causal structural problems involving valves, arteries, or heart muscle function. In most cases, the way to try to stop heart palpitations is to support heart rate variability, a measurement which indicates how your body is responding to everyday stressors. High heart rate variability (HRV) indicates a healthy response, while low heart rate variability is linked to the development of heart disease and other diseases. In other words, you want to balance your autonomic nervous system activity (stress and relaxation). For most people this means engaging in regular stress reduction techniques: introducing practices like prayer, meditation, yoga, tai chi, or breathing exercises into your life. Most any relaxation therapy will be helpful in calming the heart. Earthing (Grounding) the body, a magnificently simple way to restore a natural electrical state in your physiology and reduce the impact of stress on your nervous system. You’ll also experience better sleep and less pain in the process. I have had a number of people tell me their PVCs have disappeared or minimized with Earthing. Cutting down on caffeine, sugar, alcohol, chocolate, food additives (especially MSG), and colorings, all of which have the potential to trigger PVCs. Even decaf coffee and tea maybe a problem for people who are exceptionally sensitive to caffeine. Green tea has a bit of caffeine in it. If you have PVCs, try avoiding it. If you’re experiencing PVCs – whether a chronic coffee or tea drinker or not – I still recommend avoiding caffeine to see if it helps. If you have a gluten sensitivity, stay away from bread, bagels, crackers, pasta, and other grain-based food items. Gluten can generate PVCs in sensitive individuals. Read labels carefully and even avoid processed foods with gluten as an ingredient. The nutritional supplements magnesium (400 mg) and CoQ10 (100 mg) can work like magic against PVCs. Jim Roberts, M.D., an integrative cardiologist in Toledo who co-authored my Reverse Heart Disease Now book, has consistently found a magnesium deficiency among patients with chronic cardiovascular conditions who experience PVCs. He gives all of them a magnesium supplement and their PVCs are substantially reduced or eliminated. I also suggest omega-3 fatty acids, such as fish or squid oil (1-3 grams a day), L-carnitine (500–1,000 mg daily), and D-ribose (5–10 grams a day). Take the higher amounts if you also have high blood pressure, or more frequent and bothersome skipped beats. Minimizing electro-pollution in your immediate environment. That means removing unnecessary electrical devices – lamps, radios, computers, cordless phones, and TVs – from your bedroom or move them as far away as possible. The greater the distance the less chance that the electrical fields from electrical devices can disturb the “electrical circuits” in your body. You may be a person who is more sensitive to these fields and possibly experiencing headaches, insomnia, anxiety, or arrhythmias as a result. Electro-pollution has the potential to disturb heart rate variability, the minutely flexible variations between heartbeats, and provoke PVCs. For more information, visit the EMF section, here at HMDI. Minimizing air pollution in your home by using air filters. Air pollution can also impair normal HRV and increase PVCs in healthy individuals. Ataklte F, et al. Meta-analysis of ventricular premature complexes and their relation to cardiac mortality in general population. Am J Cardiol, 2013;112(8):1263-70. He F, et al. Acute effects of fine particulate air pollution on cardiac arrhythmia; The APACR Study. Environ Health Perspect, 2011;119:927-32.
yes Hawthorn on a daily basis will help and so will a dropper full Motherwort tincture with a few drops Cayenne tincture help during an episode. 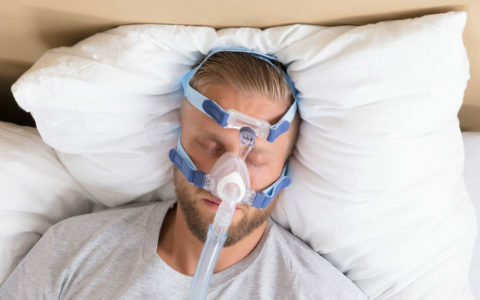 Can Sleep Apnea cause PVC’s? How does Sleep Apnea affect the heart if left untreated? Please, explain what is Grounding / Earthing ?? I have had 3 episodes with Atril fib and cardiologist just put me on Eloquis 5 mg(blood thinner) 2 Xa day. I have also been on Atenolol 50mg. 1 x aday for the atril fib. My question is: can I take your fish oil Omega Plus with a blood thinner? Can I also take Seanol with a blood thinner? I have purchased the heart healthy women’s multi and take 2 of those a day, 2 Seanols and 1 or 2 Omegas but wonder if this is good or not. I also bought your probiotic. Thank you Dr. Sinatra for all of your fine work. It is appreciated!! Hi Ruth Anne, I’m going to refer you to customer service at Drsinatra.com for this question, as the reps are more familiar with Dr. Sinatra’s products (which we do not sell here at HMDI): you can reach them by email: [email protected] or by phone at 800-304-1708. I started getting bad, constant palpitations around Feb, 2014. Went to a cardiologist who did one awhile back in anticipation of minor unrelated surgery (that I didn’t need after all) to compare. They didn’t have record of the previous one. All they would do was insist on linosopril (even put in my records I took it). I told them to shove it. About a month later I found a specialist on a preexisting condition (malabsorption -the cardio knew about it -I told them). New ECG with new cardio who found ECG from several years before and proper bloodwork. Iron deficient. New cardio said linosipril might have killed me. I’ve been fighting this group of symptoms for years. Had iron infusions (3) and waiting for it to settle. I have had PVC’s for over a year, but the frequency suddenly increased, within a day’s time, from abt 10/day to 10 to 20 per minute, with no cessation, all day. (I carry an Alivecor heart monitor after an event a year ago). After hernia surgery 3 weeks ago, I have not detected any PVC’s at all. None. A pre-surgery ECG showed a high frequency of them. The disappearance of them was sudden, and coincided with the surgery. I have found no documentation which would help explain what caused their cessation but think it worthy of mention. I really don’t care if my heart stops at this point. I am so sick and tired of reading: “it’s probably nothing”, i’ll be better off keeling. Every article I read, “it’s probably nothing but see your cardiologist if it scares you”. These skipped beats are happening every 10 seconds or so. I’m not going to risk going to the doctor only to be told “it’s nothing. cut back on caffeine and stress”. I’d rather croak. At 39 years old, i’m too young to die from drinking too much caffeine and having too much stress. However, if my heart is that bad, I would rather not bother with getting it fixed. Having medical problems this young is BS. Glad I have no kids and no wife and no job to consider when letting myself go like this. Let it freaking be. I’m tired! Wonderful article doctor. You have explained in a very clear way. I’m 40 years old. I am scared to death. I’m afraid to exercise. I was an athlete when I was younger. I love playing softball and basketball but now I’m scared to death. Every time I go to the Dr with this they tell me it’s normal but being scared to death isn’t normal for me. I have been subscribed atenalol 50mg twice a day, Xanax .5mg a day and omeprozol 40 MG a day. They still can’t tell me why my heart went into V Tac. All they tell me is that I have a healthy heart. Sometimes I feel my heart fluttering and it takes my breath when this happens and makes me very tired feeling with some dizziness. How do I not worry about this? Thank you. Please help! Can you still take magnesium if you are on beta blockers due to the P V C s? I have them daily for hours for 2 yrs worse when I’m have pms. Can I take magnesium if I am on beta blockers? I have pvc daily for hours for two yrs. all tests are fine. constant like someone having labor contractions, now i’m worried about what to expect. I had palpitations along with mild angina when first going through menopause but rather than take medications began taking daily walks and after a few weeks of following that regimen it stopped and now a decade later has never happened again since that time. Hormones were imbalanced at the ttime so the hair was also falling out but taking biotin daily stopped that problem, too. Amazing the natural things that can help us through those trahsitions in life! Am 72. When I exercise gently my heart rate goes up hugely and my heart thumps, I have problems breathing and have to lie down quickly. Tests have shown that my heart is thickened and therefore stiff. My diastolic can be in the 40s, but always below low 60s, but systolic can be too high. My doc has put me onto ADIZEM which keeps the upper one down nicely. The difference between the upper and lower bps on a good day is 70 and on a bad day can be 110. Thyroid good. Not diabetic. Heart valves good. Coronary arteries good. Last year could play 18 holes of golf 3 times a week walking. This year problems playing 9 holes with a cart (buggy). Taking Dr. Sinatra Omega Q Plus x 2 and Mito Cell Protect daily for nearly 3 months. Any ideas as to why? I’m not a Dr, but I have been having irregular heart beats since I was about 19 yrs old, now I’m a great Grandmother, and still here! I have not and never would take Zoloft. I have seen friends go off of it, and it does take a few weeks.. I take Hawthorn Berry , which I have read is a heart muscle strengthener. It works about 90% of the time.I’m Happy. Try Meditation twice a day? it Works.It might take you a week or so to get the hung of it, but stay with it, and like I said I’m not a Dr. but get off Drugs , Alcohol , and Caffeine. Hi. I have had arrhythmia some 40 years, and oh so many other names attached to it, but for a while I had nothing and felt yea, it is gone! Then one day after a very stressful day I went home, went to bed and for the next three days and counting, have had pvcs, not every moment, but for me, thirty a day is enough! Then to bed, feeling OK, next day wake at five with erratic heart beat, get that fixed up, did what the doctor said, it got better, then again later on, back to the pvcs. Now, I am use to arrhythmia, I can usually get rid of it after a few hours, if not it is off to the paddles. Does not happen much now. But this is a whole new animal, and I cannot get it under control. But I can function with it. My Doctor says do not panic, no heart disease, and it will slow down, or even just disappear, or it could, no real story it will.So here I am hoping it goes aaay soon, So read all the sights again, seems the same, although everyone is different it still bugs me not to be able to control it, fix it, or do I have to stay on these few meds for weeks, or months, not good with that. But hey, stressors, well, eating not enough, sleeping, not, stress, all the time about finances and living alone and in affordable housing. Not a lot to think about, but enough, that is without family things, and so i say, I do not want to live on drugs. Deep breathing, exercise, try and sit down to eat, eat more than once a day, sleep sometimes, meditate, ignore it all, hmmmm, that has not worked, but if millions can ignore it, I guess I could. So, I am waiting for this to come to a halt sooner than later. Getting older can be fun, one just has to have a flexible mind set. Thanks for the read, I feel a bit better, but really, must get rid of the stress factor, that could take some time, it did take time to get here after all. Back in December my pulse rate was steady around 126 bpm. I started following Dr. Sinatra’s protocol of using co-Q10, l-Carnitine, magnesium, and the D-ribose. It seemed to help. My heart rate would start to fluctuate, sometimes getting down to 90 bpm in a resting position, but once I got up and started to go back up to the 126 bpm. I then read an article from a newsletter published by Dr. Bruce West, where he mentioned that the erratic and high pulse rate could be caused by a lack of calcium. His recommendation was to take nine Calcium Lactate tablets and five Cataplex F tablets from Standard Process. His instructions said do this twice a day. Once in the morning and once in the evening before you go to bed. Within about 15 days of doing this my heart rate started to decrease. I stayed on this protocol for about three months. My resting heart rate now is around 65 to 68 bpm and the low 80s when I am up and moving. I never had heart palpitations until I was prescribed linosipril. Now I don’ know what to do the y make me feel as if my Heart is going t stop. It just really messed me up. I’ve taken stress test and they’ve come back normal but this does not feel right at all. Unfortunately, we can’t give any direct medical advice or information regarding prescription medications. But it does sounds like you are having some serious side effects from the medication you are currently taking. Maybe one of the doctors on our Top Docs List could be of help to you? Many of them can do phone consultations if they are far from where you live. does the blood pressure have anything to do with pvc’s?? I noticed that when I have the palpitations it usually shows a normal blood pressure lvl but I have them. My usual symptoms come after I eat sometimes after I am working on something or when I am relaxing and watching tv or at night when I go to bed. but my blood pressure doesn’t change and it stays normal. Recently, however, I have noticed something quite different and its really scary. Not only do I feel the pulsations in my heart but throughout my entire body – like all my veins in my arms and legs are jumping up and down too. I can’t find any mention of this on the internet and wonder if Dr Sinatra has heard of it. I would really appreciate any advice on what this is. Thank you! It is hard to say what could be causing this sensation for you. You will want to rule out rapid heartbeat by having an assessment. Check with your cardiologist to see what your options are. You can have a 24 hour monitor assessment. Or, if you should have severe shortness of breath you should get to the emergency room and have an EKG while the symptoms are occurring. Arrhythmias are more serious than palpitations and should be ruled out or addressed. Sorry this is late to thank you very much for your kind response but I wanted to check something out before reporting back. I thought I should report my findings here not only for your information but just in case others experience the same as me and have no idea what is causing it. I have an iPad which I dropped and the screen shattered on one side. I taped it up and continued to use it. I never switched it off – it was on day and night. My ‘whole body’ palpitations began around the same time, although I didn’t make the connection at the time. I finally decided to get the iPad repaired and the very same day I took it to the repair shop (got it out of my house) these very unusual palpitations stopped and have never returned. Now, I don’t have a clue what can possibly come out of an iPad (or iPhone for that matter) but it surely is something very dangerous to the human body. I wonder if it could be radiation or similar? Whatever, I’m reporting this to advise people NOT to use their equipment if it has a cracked screen – even a tiny crack. Who knows what damage it is doing? I make it a habit now of switching everything off before I go to bed now. Again, many thanks for your response! Thank you so much for sharing your story with all of us. This is very interesting and quite concerning. Since your device connects to WiFi, it has a transmitter and receiver in it that accepts and sends electrical signals (you can see a more detailed explanation here. See section “From Radio to WiFi”.) The crack likely was causing the device to expose you to more of these signals than normal. Since our heart is electrical, it is very susceptible to environmental sources of EMFs (electomagnetic fields). You can learn more about the potential dangers of wireless devices here: Wifi Dangers: What You Can’t See Can Hurt You. You can also learn more in our EMF section. Thank you! I’m struggling a bit and found this extremely helpful and reassuring. I can’t figure out the combination of things that cause my palpitations but my doc and I are working on it. Without a doubt, adding magnesium helped me. I had one bout with atrial flutter while on a 10 day dose of prednesone, and excersizing in a pool with phsyical therapy session after a recent auto accident in which I had back issues with sciatica. Atrial flutter stopped after several hours with a beta blocker in the ER. Was taken to hospital for observation, and test. Hospital doctors said all test were fine, but I was put on a blood thinner now for life just with this one episode of atrial flutter. Very expensive Eliquis Blood thinner was prescribed, now for life, even tho heart has no flutter now. Does that sound normal to have a life sentence of blood thinner?